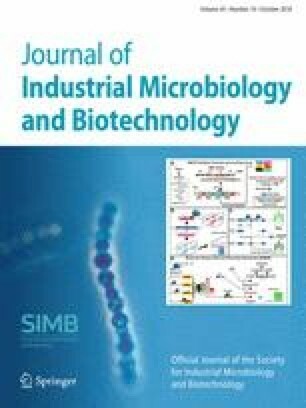 Exploitation of biofilms for industrial processes requires them to adopt suitable physical structures for rendering them efficient and predictable. While hydrodynamics could be used to control material features of biofilms of the platform strain Pseudomonas putida KT2440 there is a dearth of experimental data on surface-associated growth behavior in such settings. Millimeter scale biofilm patterns formed by its parental strain P. putida mt-2 under different Reynolds numbers (Re) within laminar regime were analyzed using an upscale experimental continuous cultivation assembly. A tile-scan image acquisition process combined with a customized image analysis revealed patterns of dense heterogeneous structures at Re = 1000, but mostly flattened coverings sparsely patched for Re < 400. These results not only fix the somewhat narrow hydrodynamic regime under which P. putida cells form stable coatings on surfaces destined for large-scale processes, but also provide useful sets of parameters for engineering catalytic biofilms based on this important bacterium as a cell factory. The online version of this article ( https://doi.org/10.1007/s10295-018-2070-0) contains supplementary material, which is available to authorized users. The authors are indebted to S. Gutierrez and supporting team leading the confocal microscopy facility at the Centro Nacional de Biotecnología, JL Ocaña at Centro Laser Politécnica for his help measuring the rugosity of the polycarbonate probes, JR Arias and A Velázquez at the Universidad Politécnica de Madrid for their technical and material support in the design and fabrication of the device, and C Mark for editorial assistance. This work was funded by the HELIOS Project of the Spanish Ministry of Economy and Competitiveness BIO 2015-66960-C3-2-R (MINECO/FEDER), ARISYS (ERC-2012-ADG-322797), EmPowerPutida (EU-H2020-BIOTEC-2014-2015-6335536), MADONNA (H2020-FET-OPEN-RIA-2017-1 (766975) Contracts of the European Union, and InGEMICS-CM (B2017/BMD-3691) contract of the Comunidad de Madrid (FSE, FECER). Authors declare no conflict of interest.